Believe in yourself! Have faith in your abilities! Without a humble but reasonable confidence in your own powers you cannot be successful or happy. But with sound self-confidence you can succeed. A sense of inferiority and inadequacy interferes with the attainment of your hopes, but self-confidence leads to self-realization and successful achievement. Because of the importance of this mental attitude, this book will help you believe in yourself and release you inner powers. There is a great gain in godliness with contentment; for we brought nothing into the world, and we cannot take anything out of the world; but if we have food and clothing, with these we shall be content. But those who desire to be rich shall fall into temptation, into a snare, into many senseless and hurtful desires that plunge people into ruin and destruction. For the love of money is the root of all evils; it is through this craving that some have wandered away from faith and pierced their hearts with many pangs. As prime examples of Christian happiness, the saints have had much to say on how to achieve this success. 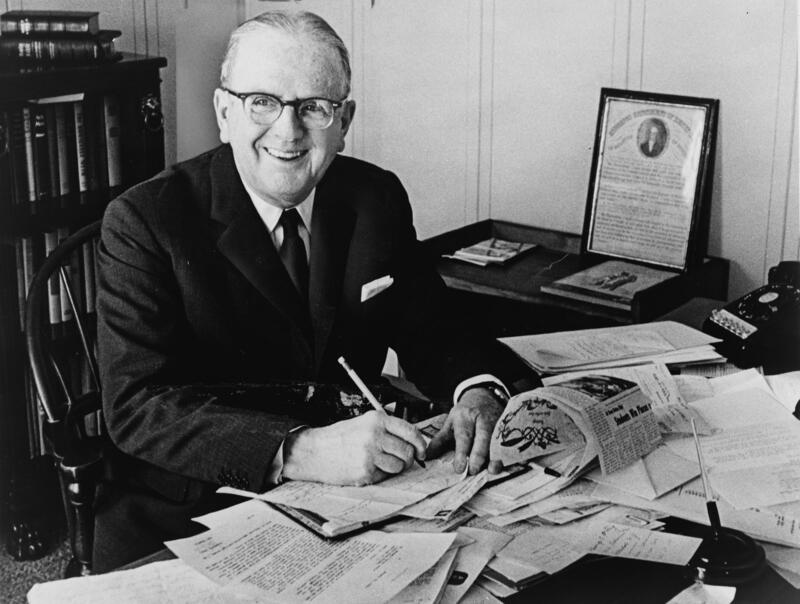 We could fairly state that they too proclaim, just as Norman Vincent Peale proclaims, a gospel of success. Might it not be an enlightening procedure to compare “the gospel of success according to Norman Vincent Peale” with its power of positive thinking on the one hand, and “the gospel of success according to the Saints of God” on the other? Would we find that these gospels agree with each other? Would we find that they compliment each other? Would we find that they shed light on each other? Or would we instead find that they contradict each other or that they simply disagree with each other? Let’s do some comparisons and see what we come to. Believe in yourself! Have faith in your abilities! Without a humble but reasonable confidence in your own powers you cannot be successful or happy. But with sound self-confidence you can succeed.
. . . not only want to be with the saints, we should also hope to possess their happiness. While we desire to be in their company, we must earnestly seek to share in their glory. Do not imagine that there is anything harmful in such an ambition as this; there is no danger in setting our hearts on such glory. Peale does not spell out for us exactly what it is that we – or rather I — as a professing Christian should want to succeed at, whereas Saint Bernard spells it out exactly. I do however receive from Peale what would seem to be some useful inspiration on following the Way of the Cross (if I temper, that is, the obvious Pelagianism of his exordium with a call upon heaven for help) – assuming of course that the success I am looking for has indeed to do with taking up the Cross, and not with selling real estate or with becoming the CEO of Engulf and Devour Inc. or even with becoming, let us say, a best-selling author. Formulate and stamp indelibly on your mind a mental picture of yourself as succeeding. Hold this picture tenaciously. Never permit it to fade. Your mind will seek to develop the picture. . . . Do not build up obstacles in your imagination. 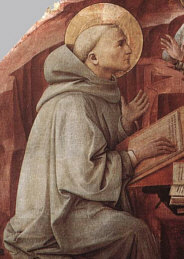 It is difficult to become a saint. Difficult, but not impossible. The road to perfection is long, as long as one’s lifetime. Along the way, consolation becomes rest; but as soon as your strength is restored, you must diligently get up and resume the journey. Suffering is a great grace; through suffering the soul becomes like a Saviour; in suffering love becomes crystallized; the greater the suffering, the purer the love. Not to belabor the point, but assuming that the words quoted from Matthew actually mean something to me, and assuming it is Christianity above all that I want to be successful at, would not Peale’s directive of painting in my mind a picture of bright and happy expectations have everything to do with taking up the Cross and following the Master, so that my soul can “become like a Saviour”? Every struggle in the soul’s training, whether physical or mental, that is not accompanied by suffering, that does not require the utmost effort, will bear no fruit. 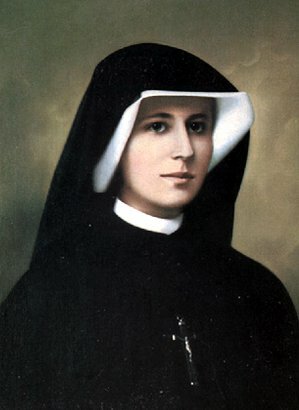 Once again, if it is success in Christianity above all that my heart is set upon, Peale’s advice would seem to offer definite encouragement in light of what both Theophan, the great Russian saint of the nineteenth century, and what Faustina, the first saint of the new millennium, have to say in regard to the role of suffering in the soul’s faithful following of the straight and narrow way of the Cross. Besides, who says joy is incompatible with suffering? Without suffering how would we ever know what joy is? 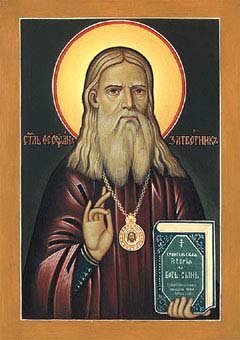 We were meant to consider all our deeds within our heart before carrying them out. . . . A good work of the soul is like an exceedingly beautiful bulwark in the sight of God and the angels, while a bad action resembles a house made of dung and full of filth. 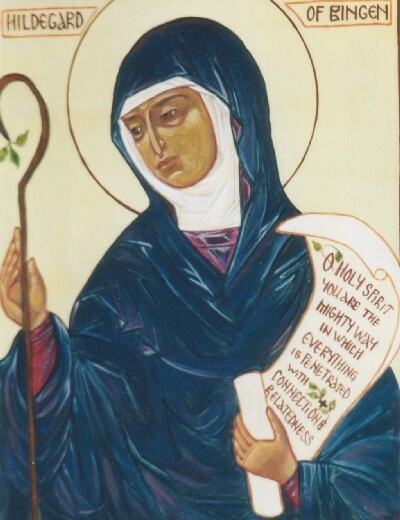 Assuming that Peale would agree with Saint Hildegard, that taking counsel within our heart before action is a good idea, indeed of utmost importance, how can I disagree with Peale’s observation? Ora et labora as the Benedictines say: Pray and work, these indeed are the two pillars of all true spiritual life. So it would seem that Peale’s gospel of success through the power of positive thinking, whatever his followers may have made of his teaching through the decades, whatever Peale himself may have made of his own teaching, can be made quite compatible with the gospel of success according to the saints. 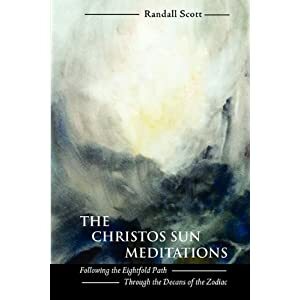 All we need do is set our sights high enough and all is reconciled, all is made one in Christ, for as that great positive thinker Saint Paul said: “If anyone is in Christ, there is a new creation: everything old has passed away; see, everything has become new! All this is from God, who reconciled us to himself through Christ, and has given us the ministry of reconciliation” (2 Cor. 5: 17-8). 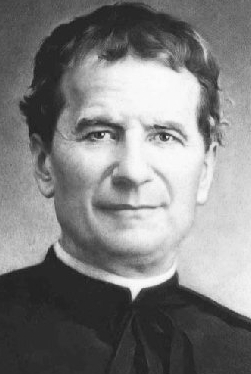 Today is the Feast of Saint John Bosco (1815 – 1888), who so successfully taught young Italian boys both religion and learning that his inspiration led to the foundation of the famous Society of St. Francis de Sales – a world-wide organization dedicated to his own educational ideals. 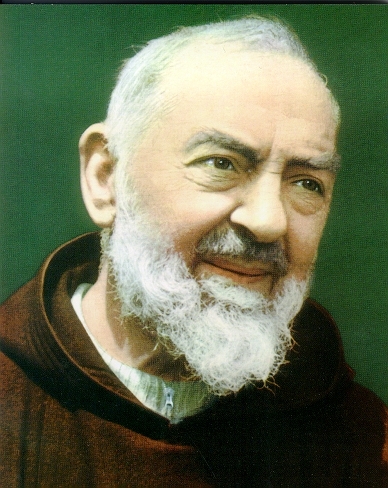 A pioneer of modern education methods (also the first saint in history to give a press interview), he devoted himself to pastoral care among those seeking work in the newly industrialized city of Turin. 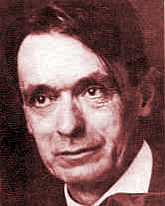 “Don”, as he became known, gathered six abandoned boys into what he called an Oratory, where they attended chapel and classes. As the number gradually grew to over 800, he opened workshops for a range of trades, as well as a printing works and iron foundry. Girls were helped in a similar way when he established the Daughters of Mary, Help of Christians. 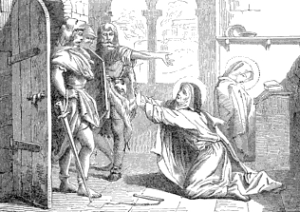 Today also happens to be the Feast of Saint Marcella (d. 410), whose mentor, Saint Jerome, said of her that she “clung to Christ, believed in Him crucified, and rejoiced in Him as King.” One of the sayings of Saint Marcella comes from the period in her life when Goths had overrun Rome and Rome was in the throes of a famine, and when Marcella herself was languishing after having been turned out of her own home. Eighty-five at the time, she said: “By heaven’s grace, captivity has found me a poor woman, not made me one. Now, I shall go in want of daily bread, but I shall not feel hunger since I am full of Christ” – thus effectively demonstrating the power of positive thinking some 1540 years before the publication of Norman Vincent Peale’s book of the same title. most “lives of saints” tell us that they never stopped considering themselves as great sinners, the list of their transgressions “ever before their eyes” , which does seem to contradict NVP’s keep and reinforce only a positive image….. Nevertheless the actual words of Peale could be taken as a determination to come to know oneself in one’s brokeness (“lost likeness”) as meanwhile one keeps the image of God (i.e. 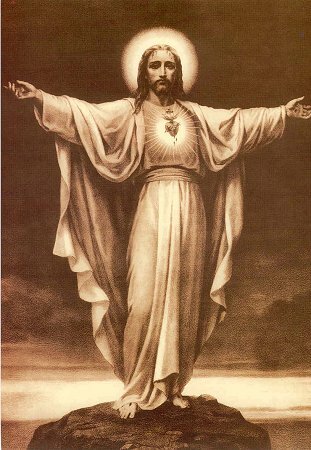 the Christ) before one, the Christ thus being that Divine Image out of which each of us has been individually made as a likeness — a likeness we have lost. Hence the power of positive thinking is brought even into the list of one’s transgressions that is kept ever before one’s eyes. 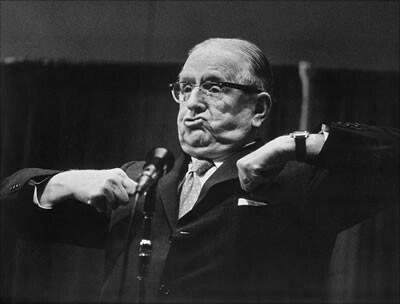 The gospel of success according to Norman Vincent Peale abounds throughout with such ironies.